* Free time to visit Stonehenge. * Tickets for Stonehenge are included in the Price. * Audio guide included in the price. Meet your private chauffeur in the hotel arrivals hall, They will be holding a sign at the terminal with the lead traveler's name on it. The driver will then assist you with your luggage and load it into the awaiting vehicle, that is no more than 3 years old. Sufficient time will be allowed for any traffic delay so you are always on time and never late. 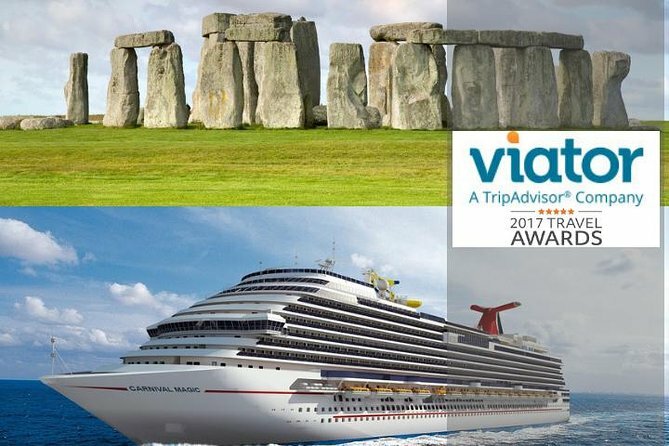 Begin your smooth and comfortable transfer to the Southampton with via Stonehenge. Admire the sights of London as you cruise along the roads. See locals partaking in their daily activities and tourists wandering about. Arrive at your destination, Southampton in a timely manner. The driver will once more assist you with your luggage and bid you farewell as you board your cruise ship. Please advise the pick up time from your accommodation.